What better way to invite Spring with two welcoming arms than kale chips? WAIT Make that SPICY Kale Chips! I had some leftover kale from a past visit to the farmer’s market about two weeks ago. Kale lasts a long time as long as they’re kept in the refrigerator but I’ve neglected mine and they seemed to look a bit wilted. Rather than wasting it, I thought I’d make my infamous spicy kale chips again! The first time I made them was for a farm stand event at my University and I received a multitude of positive feedback from classmates and friends on how they tasted. So, I thought, ‘why not whip up some to clear them out?’ This definitely is a good, inexpensive way to finish up any remaining kale you’ve got! In relation to that, I decided to do some research on kale and found out that these lovelies make a wonderful substitute for potato chips that are low in fat and packed with nutrients such as vitamin A, C and K.
According to a fitness website I regularly refer to known as Livestrong, one cup of kale has “less than 50 calories, 10 grams of carbohydrates and 1 gram of fat, including 2 grams of fiber and 3 grams of protein”. Not only that, MindBodyGreen states that kale has more iron than beef per calorie and is a great anti-inflammatory and detox food. You can find more benefits of kale chips on Livestrong and if you’re interested in the nutritional value of things, SF Gate’s Healthy Eating column has a breakdown on that. 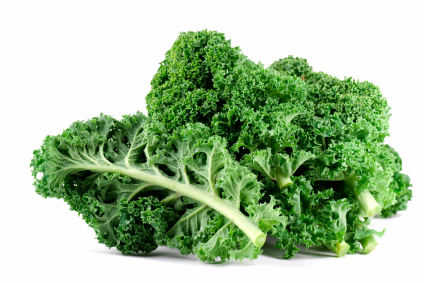 Now, don’t you think you ought to make the switch from potato chips to kale chips? This entry was posted in Informational, Nutrition and tagged benefits, chips, guide, health, healthy, kale, nutrition, potato. Bookmark the permalink.